Seattle, Washington, is among the top cities with a free business environment. According to our city rankings, this is a good place to live with high ratings in startups, venture capital and healthcare. Seattle is one of the top ten city matches for 3.2% of Teleport users. Costs of living in Seattle are in the most expensive 10 percent of all 248 Teleport cities and the 13th most expensive in the United States. Average living expenses are significantly higher compared to other cities, especially in the housing market. Moving to Seattle will very likely increase your daily costs of living. Sign up for free to get access to our cost of living index and use our international cost of living calculator to do cost comparison by city. Software Engineer salaries in Seattle are very high. For this job type, Seattle ranks 3rd for salaries among 265 cities. Get access to our salary comparison calculator by signing up. Compare salaries city by city with our free salary wizard and convert your own salary to a local salary in Seattle. Do locals recommend living in Seattle? How could Seattle improve to make it a more liveable city? We will make sure that the local government will know about the suggestions that reach enough votes*. Is Seattle a great place to live? What makes it special for you? What makes it liveable? What should others know about? Why should they move here? Why do you love it? Looking for a job in Seattle? Let the jobs come to you! Sign up with your email and we’ll start working on getting job offers from Seattle delivered to you. It's free. No strings attached. You can unsubscribe anytime. The overall crime rate puts Seattle in position 154 of 266 Teleport Cities in a ranking for the safest cities. Shake off the charcoal skies and wet weather to discover colorful art, a vibrant food scene, sweeping views and more during a weekend in the Emerald City. Seattle, Washington sits at one of the most beautiful spots in the United States. Occupying a narrow isthmus between the Puget Sound and Lake Washington, it is the biggest city in the Pacific Northwest, with four million people calling the area home. Seen from above, carpets of evergreen trees, pristine blue waters, and snowy white mountains surround the downtown's metallic skyscrapers, earning the city its nickname The Emerald City. On the ground, you will find a vibrant and cosmopolitan city. Next to the progressive downtown and the freewheeling feel of Capitol Hill, you can find a laid-back atmosphere in the districts to the north and ethnically diverse neighborhoods to the south. The many restaurants, coffee shops and microbreweries are worth indulging in after a day spent strolling through the city's many parks and beaches or admiring the arts and architecture. And just outside the hectic city are snow-covered mountains, evergreen forests, and stunning coastline to explore. 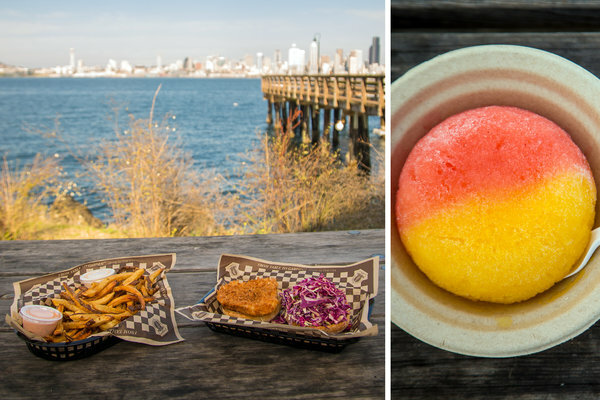 Even for the bold and the adventurous, it's hard to get enough of Seattle. Most visitors to Seattle tend not to venture beyond Downtown, the International District, and the Seattle Center. That's a shame, since neighborhoods like Capitol Hill, West Seattle, and those north of the ship canal are where much of the fun actually is! Thorough guide about moving to Seattle. Seattle moving guide, tips & relocation info.